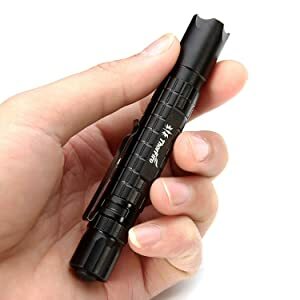 Whether you’re preparing for a group camping trip or just thinking ahead toward the next time the lights go out at home, it goes without saying that a pocket flashlight is an absolute must-have. However, you naturally won’t want just any flashlight. You want something that’s reliable, that’s durable, and that really performs, even under tough or unforeseen conditions. Today, the gold standard when it comes to pocket flashlights is the LED flashlight and with good reason. LED flashlights come equipped with a light source that’s guaranteed to stand the test of time. 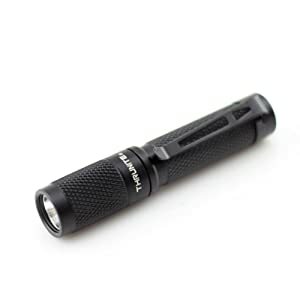 However, knowing that a good LED pocket flashlight is the right pick for you and deciding which of the many options out there on the market are two different matters. Let’s take a closer look at what today’s best LED flashlight picks bring to the table and discuss how you can go about choosing the best one for you. Which type of Flashlights is better, LED or Traditional ? How Bright Should Your Pocket Flashlight Be? How Durable Should Your LED Pocket Flashlight Be? Is there anything worse than being alone in the dark? It’s not scary in the sense that there could be evil creatures lurking or anything like that, it’s just moving around in the dark, especially in an area you’re not too familiar with, can be downright dangerous! If you can’t see where you’re going. You risk running into things, or worse, falling over and injuring yourself! Wouldn’t it be great if you were able to carry around a flashlight at all times? The problem is though that most flashlights are either too big and heavy or too small and underpowered, which means that their useless! Souldn’t it be great if there were some powerful led flashlights small enough to fit in your pocket? We will take a very close look at the brand new Surefire EB1 Dual-Output LED Flashlight, or the Backup as it’s also called! Many flashlight reviews claim that it is one of the best and brightest pocket LED flashlights that you can currently find on the market! Are they right? Well, keep on reading my detailed review and you’ll find out! Measuring in at less than a finger’s length, the new SureFire EB1 Backup may be one of the most compact LED flashlights out there but it still manages to combine high level tactical performance, with amazingly long lasting battery life! Initially developed with police officers and security guards in mind the Backup EB1 is also ideal for people who love outdoors activities! The SureFire Backup is equipped with a state of the art digitally regulated LED light bulb that allows it to produce a light that’s more than 4 times as powerful as than of a conventional flashlight! It also features multiple light output settings to help maximize its battery life! When used in its lowest setting, it can stay on for more than 35 hours straight! It also features a special button on the tail cal that allows you to instantly switch it to its full output mode! A great feature for self defense! Finally, the SureFire Backup also features a special design that keeps t from getting snagged in clothing, pockets or holsters! In short, its one of the best pocket flashlights out there! The SureFire EB1 LED flashlight uses state of the arr LED light bulbs which since they don’t contain any filament or other parts that could break from use, will last you literally for thousands of hours! The BackUp EB1 Surefire is equipped with a specially designed Total Internal Reflection (TIR) lens that allows it to produce a perfect and amazingly powerful light beam with a great of reach, which also illuminates the space around it in order to provide you with better peripheral vision! It’s window features a Pyrex Coating in order to keep the lens and LED light bulb safe while at the same time improving the overall light producing performance of the SureFire 1B! The BackUp is completely made of extremely durable aircraft-grade aluminum, making it virtually indestructible! Also, thanks to its Type III hard anodized finish, it will never get scratched and lose its good looks! It features a very sleek completely devoid of knurling or sharp edges, in order to keep it from getting snagged on your clothes and pockets! Three different light output modes! Special switch that allows you to turn instantly switch to the maximum output mode! Special design that keeps it from getting snagged and makes it easier to handle. Uses the harder to find CR123A batteries instead of common ones. 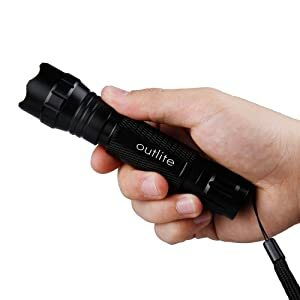 If you have seen any security agents or police officers lately, you must have noticed one thing: each was carrying a cool looking flashlight with him or her! This is because flashlights are now an essential part of any police officer’s or security guard’s kit! First of all they need the light in order to investigate something that may have caught their attention in a dark place! Then there’s the fact that pretty much all of the latest LED flashlights, can also be used as weapons! Their bright lights can be used to blind or disorientate an opponent, while their strong and durable bodies, can be used for melee attacks! The brand new SureFire E2D LED Defender Dual-Output LED Flashlight has been specifically designed with people working in the security industry and law enforcement in mind! This is why it is a really well built LED flashlight that cat easily produce a really bright 200 lumen light beam when using its high intensity setting! In order to preserve its battery life, you can also use its specially designed switch to choose one of the lower intensity settings of the Surefire E2D flashlight! This way you’ll get more than enough light to check out and easily investigate dark places, without worrying about running out of battery! What makes the SureFire Defender really stand out though, is the fact that it can be very effectively used as a self defense weapon! First of all, its extremely bright 200 lumen beam can be use to blind an attacker temporarily, giving you an edge in close quarters combat! Should you have to resort to physical violence, you can use the crenellated Strike Bezel in conjunction with the scalloped tail cap of the Defender E2D, to turn it into a really effective and easy to wield melee weapon! Amazing build quality: The SureFire Defender has been built especially for policemen and security guards, which why the very best and strongest materials, like aircraft grade aluminum, were used in irder to make it virtually indestructible! Adjustable light intensity: You can choose the light output levels of the Surefire E2D Defender, in order to make the batteries last longer and ensure that it won’t be out of power when you need it! You can use the low setting to look around and save battery life and the high setting to see through pitch dark areas and even to blind attackers! 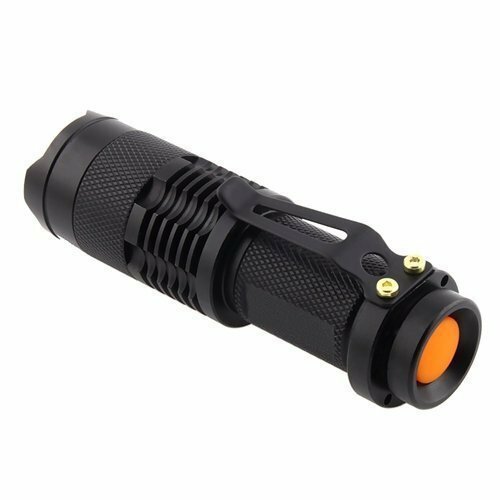 Unique lens: The Surefire E2D features a specially designed lens that allows the beam to focus on one spot, while also illuminating the are around it, thus providing you with better peripheral vision! Top of the line glass: The Defender E2D’s window has been built using state of the art coated tempered glass, allowing it to improve the performance of the flashlight and making it virtually indestructible since it will be able to sustain all impacts! 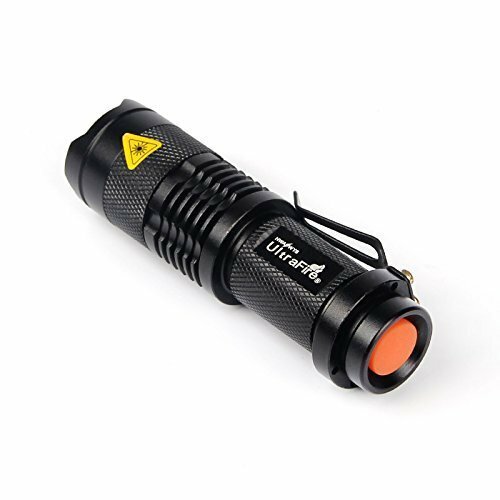 Excellent melee weapon: Thanks to the fact that it comes equipped with SureFire’s specially designed Strike Bezel® part, the E2D Defender LED Flashlight also doubles as a very effective weapon for hand to hand combat and self defence! Easy to use controls: You can select light beam intensity mode and turn the flashlight on and off really easily, by using the specially designed switch found on the tail cap! Amazing build quality which makes it nearly indestructible! Very bright! The light in produces in its highest intensity setting can easily blind an attacker, temporarily! You can choose the intensity of its light beam in order to extend the life of the battery! Really to access and use all its features! It’s not a rechargeable LED flashlight. However , this kind of flashlight is not always dependable . The light bulb always generates high light and has a limited life span . It can be broken due to high heat or gives fade light with no warning . But the more important , is that the traditional flashlight makes batteries to run easily out . That means you need to have always stock of batteries . LED flashlights are a new technology that is to provide a source of light to the world ! These flashlights can last much longer with the same amount of batteries and offer stronger light . Also , the less battery you use , the more eco-friendly you are .. LED ones are considered as a long-lasting tool which is to work non-stop for more than 100 hours ! So , less amount of batteries used produce more light supply . LED flashlights can be useful in various ways . Most times , they are found in households in an emergency case or a disaster kit . Some people like policemen , firemen etc have them for their work benefit . Others want to carry a LED one , for their personal adventures or hobbies ! Either way , LED flashlights are becoming rather popular . Very good brands of such lights are Mag-Lite , Inova , Pelican , Petzl , Streamlight . Since , there are different kinds of them , one should know which is the best LED flashlight for individual needs . Thus , before buying it , ask some info about it ! To conclude , a number of vital LED features like much effectiveness , efficiency , durability and reliability makes them , more trustworthy than traditional ones . The first are thought to be a strong tool for personal or working requirements , thus they may be more expensive than the seconds . If you’re looking for a more efficient alternative to the incandescent flashlights you’re used to, then look no further than LED. LED stands for “light emitting diode”. However, LED lights are far from your average, run of the mill light sources. To begin with, LED flashlights are far more power efficient than their incandescent cousins. This leads not only to a longer overall battery life, but actual lighting elements that last longer as well. LED lights last on average between 40-90% longer than the bulbs you may be used to, as they produce a cool light instead of a hot one. When deciding which of the many options out there on the market is right for you, it’s important to consider the uses to which your new flashlight will be put. Is your new light something you plan on carrying in a pocket or purse on a daily basis? Are you looking to be able to use your light for professional purposes or is this simply something you want to have around the house in case of a blackout? Before you buy a pocket flashlight, you should really have a purpose and goal in mind for its use. Intended Use / Purpose – what do you need it for? Price – How much have you budgeted for your led flashlight? Modes – Do you need more than just on/off? Types – Pen style, headlamp, handheld? Battery – Do you have a particular type of battery you would like to use? Some use “obscure” batteries you wont find at CVS. Lumens – How bright of a light do you want? The brightness of a given LED flashlight is going to be rated in units called lumens. Your average tactical LED flashlight is going to come attached to a brightness of level of roughly 100 lumens. However, most high quality multi-purpose lights are going to have a number of different brightness settings. Look for a flashlight that comes alongside three or four brightness levels. This will allow you to get the most different uses out of your flashlight possible. Use it for home security or keep it in your car in case of emergency. Then take it with you on camping trips or hunting trips. You will also want to consider the going run time of your flashlight, especially if you plan on relying on it during extended trips out in the wilderness. Last but definitely not least, you’ll want to consider different lighting modes. Beacon mode is a must if you’re planning on using your light while outdoors, especially when hunting, hiking, or camping. (Beacon mode instructs your flashlight to emit a bright flash of light every 3-5 seconds. Great for maintaining visibility while preserving battery life or while waiting for help!) Strobe mode is another great option to look for, as it makes for a great self-defense/safety option. No matter what you foresee using your new LED flashlight for, it’s always a good idea to prioritize durability when making your choice. That said, you should choose a tactical LED flashlight over the alternatives. Tactical flashlights were made for real world, hands on use out there in the real world. That said, they’re made of hardy, solid materials like anodized aluminum instead of plastic. Most tactical flashlights are going to be highly water resistant, if not completely waterproof – an absolute must if you plan on using or carrying your flashlight while outdoors. You can tell exactly how waterproof your tactical LED flashlight is by checking out its waterproof rating. (This will signify the water depth in which the flashlight can be immersed before the O-ring seals become compromised.) Your average tactical light will have a waterproof rating of around 7, but there are many variations out there on the market designed for a variety of uses. You’ll also want to look at the drop rating attached to your flashlight. 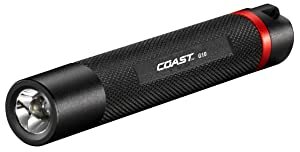 Most tactical flashlights have a drop rating of between 1.5 and 2 meters. The higher the drop rating, the better your LED flashlight will be at withstanding impact-related damage. Since most flashlights wind up taking a beating of one kind or another within their lifetime, it’s always a good idea to err on the side of caution here. Make sure that you go into the process of selecting your LED flashlight with all of its possible future uses in mind. The following are just a few to consider. Everyone should have a reliable flashlight of one kind or another around the house – something that can be counted on to work well under any circumstances. Tactical LED flashlights make great additions to any home security plan. Use them when the power goes out in order to move around completely safely. 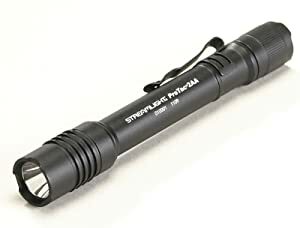 Everyone should consider carrying a reliable LED flashlight for self-defense purposes, whether or not they also carry a weapon for the same purpose. Flashlights help improve visibility. They can be used to disorient a potential attacker with concentrated light or be used as a blunt force defense weapon as well. If you’re looking into a flashlight specifically for defense purposes, look for options with ultra-high lumen levels. You should also keep an eye out for designs that feature a special tail cap designed with self-defense in mind. 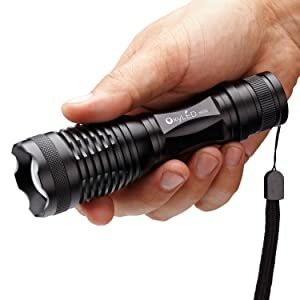 If you’re into camping, hiking, hunting, or any other outdoor activities that might find you out of doors after dusk, it’s incredibly important that you carry a reliable LED flashlight at all times. Look for options that feature a handy beacon mode. You also may want to purchase a lanyard or clip for your LED flashlight to make sure it stays with you wherever you go, no matter what the conditions. 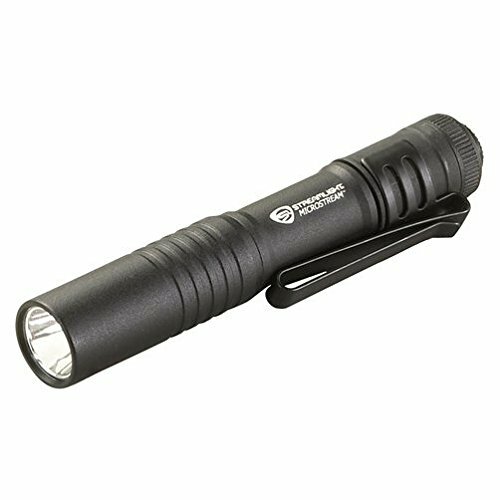 You never know when you might need to rely on your flashlight in an emergency situation! Hunters may also want to look for flashlights that feature colored filters that make maintaining visibility less intrusive to wildlife. Green filters are fantastic for picking up details while using very little power while red is best for seeing at night without disturbing other sets of eyes that may be out and about. You can also attach your LED flashlight to your rifle using a specialized weapons mount. However, if you plan on doing so, make sure you choose an option that features the ability to replace the tail cap with a good, reliable pressure switch. Today’s best options in LED flashlights are also more than appropriate for professional use. For instance, police officers, security personnel, firefighters, and many other types of workers should have a reliable flashlight on them for safety’s sake whenever they’re on duty. However, absolutely anyone can probably think of at least one use they have for a really good portable light. Tactical LED lights are appropriate in absolutely any situation. At the end of the day, there are few items more beneficial to have in your corner than a good LED light, no matter what your lifestyle.